When most people think about Fire Island they usually think of the beaches and the ocean. For me, the Great South Bay is as much a part of Fire Island as those white sandy beaches. I grew up clamming, fishing and swimming in this bay. The once mighty Great South Bay has been in decline for several decades now. Long Island was developed without a vision of how to live in harmony with the environment. This has resulted in beach closures, seafood unsafe to eat and brown tides. A once "Great" bay is fighting for survival. Hurricane Sandy came up the East Coast in October of 2012 and did extensive damage to Fire Island. For all the destruction that occurred, a "gift" was also created. 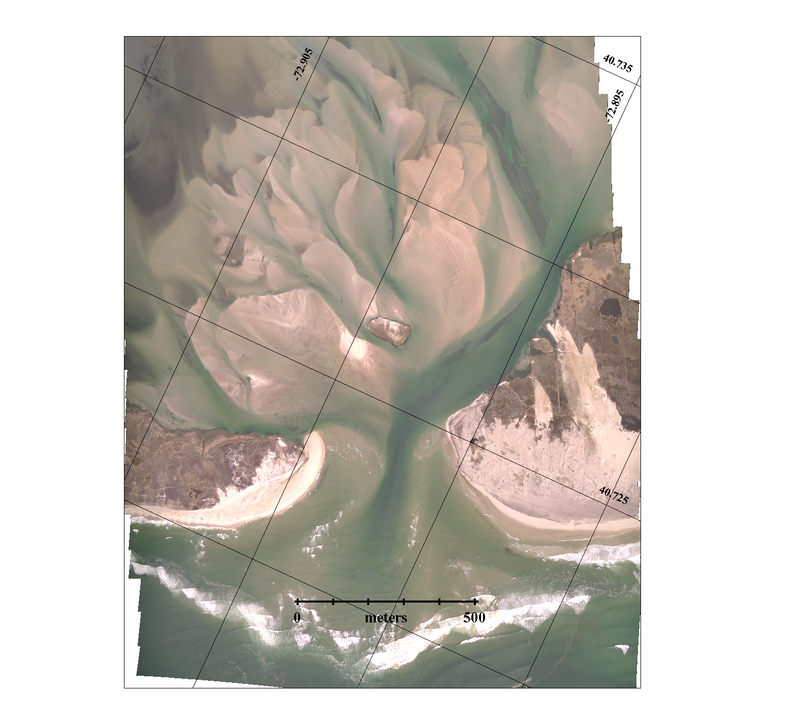 A new inlet was formed when storm surge breached part of Fire Island near a spot that is ironically called...Old Inlet. This inlet has breathed new life into the eastern part of the Great South Bay. The tidal exchange of fresh, clean ocean water has helped flush years of stagnant, polluted water out of the bay. I saw and continue to see first hand the effects of the new inlet everyday. Water visibility has improved dramatically. Clams are showing improved health. Fish are returning to spots that were all but devoid of life. After Hurricane Sandy, the idea of this new inlet scared many south shore residents of Long Island. The fear was of increased flooding and higher bay tides. Stony Brook Universities School of Marine and Atmospheric Sciences began monitoring the breach. The tidal buoys they had in place showed no increase in the tides. There were heated debates, news articles, and even the politicians got involved. As the debate raged it became clear that Long Islanders wanted clean water and a thriving Bay. The tide had turned in a sense. Soon the opponents of leaving the inlet alone began to fade away and the elected officials started supporting efforts to clean our bay. Science had won over fear. The Great South Bay now has a chance to be great again. Please consider joining the Facebook page of Save The Great South Bay and contributing in any way possible to the continued fight to save our bay. Surffireisland.com will continue to document the amazing changes happening in and around the New Inlet at Old Inlet (as I like to call it). I make no claim to be a scientist or to even know the science involved. I will simply let the photos speak for themselves. The photo in the background was taken about two weeks after Sandy. The lnlet is constantly changing with each day and tide. To see nature this dynamic is truly amazing and it has humbled me to witness this unfolding in real time. I feel like a kid when I approach it every time!